The Lester river is just north of Duluth Minnesota and makes a great after work run for the locals of Duluth. It is only about 2 miles long and after a couple laps you can run it in about seven minutes. The charicter is mostly shallow class 4 with two rapids picking up the pace. The first harder rapid is named Naked Man, and has a stout lead in into a funky seven foot boof into a very shallow pool. The rocks at the base of the seven footer dolled out a lot of pitons this year. 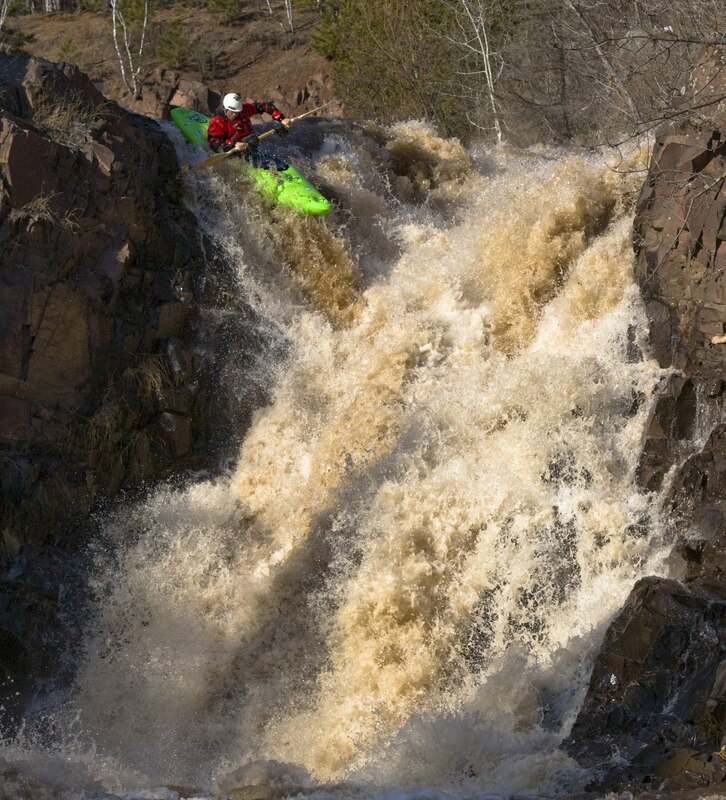 The second big rapid is called Almost Always, for years it was walked on a almost always basis. Now days this great rapid gets fired up almost always. Almost Always is a near vertical 20 footer that allows a awesome air plane boof at the top.